Here again with a sort musing on simple colors. I have been diggin these really slimmed down color palettes, but most times it seems to be really hard to find something interesting with minimal colors. Maybe i should start carrying always another camera with color to catch tiny splashes like this. 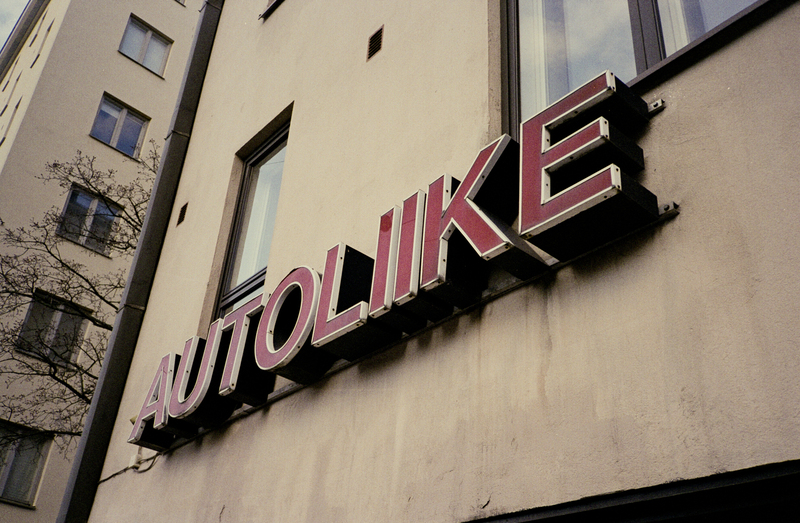 The sign says a carshop or carstore, one of these funny old school companies that still exist around Kallio. This entry was posted in Colours and tagged 35mm, Box Speed, Fuji Superia X-tra 400, Konica A4. Bookmark the permalink.